Please don't go, oh please don't say good bye. 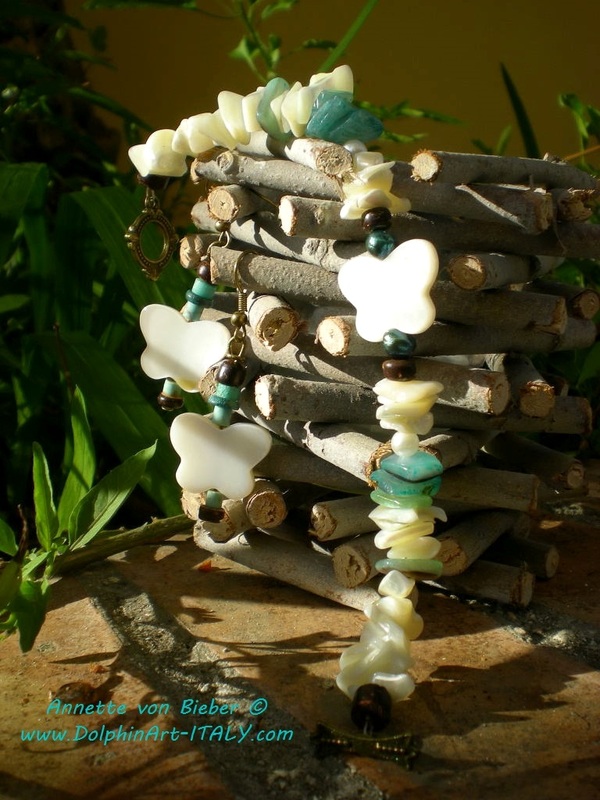 Beautiful Mother of Pearl BUTTERFLY Bracelet with Freshwater Pearls, wooden beads, different shell chips and toggle closure in antique bronze. Mother of Pearl BUTTERFLY Earrings with Turquoise Heishi, wooden beads and antique bronze.